From the 16th century on, Spain, France and Britain all tried their hand at colonizing Florida. In 1821, Andrew Jackson established a new territorial government on behalf of the United States. 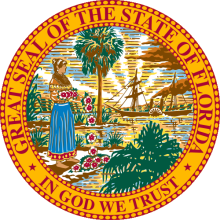 Florida vital records for marriage and divorce are available, for a fee and with valid photo identification, from the state Bureau of Vital Statistics from June 6, 1927, to the present. There is an additional fee if you do not know the exact date. The fees are payable by personal check or money order. Individuals requesting Florida vital records by mail must provide a signed letter or application which includes information about the record being requested and the person making the request. More information on Florida marriage records and Florida divorce records is available at http://www.doh.state.fl.us/planning_eval/vital_statistics/marriage.htm. Note: The website contains general information, ordering instructions and order forms to download. The vendor www.vitalchek.com also can process orders via online or by fax with use of a credit card. Search Note: Records are indexed by husband's name and/or by wife's maiden name. Note: The website provides general information and ordering instructions. The vendor www.vitalchek.com also can process orders via online or by fax with use of a credit card. Search Note: Records are indexed by husband's name and wife's first name only. Note: Except for certain online research capabilities, all trial court record access must be done at the local level. Record Access Requirements: The Clerk of the Circuit Court cannot place an image or copy of the certain documents on a publicly available Internet website for general public display. Note: A great webpage profiling this agency's various records and services is at www.fdle.state.fl.us/criminalhistory/. Record Access Requirements: The SSN is suppressed except for the last 4 digits. Search Note: One can submit fingerprints, for the same fee, but it is not required. 100% of the arrest records are fingerprint-supported. Note: Full records are housed at the individual institutions, though inmate information available through this agency and the website should sufficiently fulfill most searches. Record Access Requirements: Location, DOC number, physical identifiers, conviction information, and release dates released. Search Note: Request about detailed information on current inmates should be mailed to the location of the facility.